In this section of our site you will be able to pick up a new good crosshairs to replace the standard crosshairs in Counter-Strike Source. 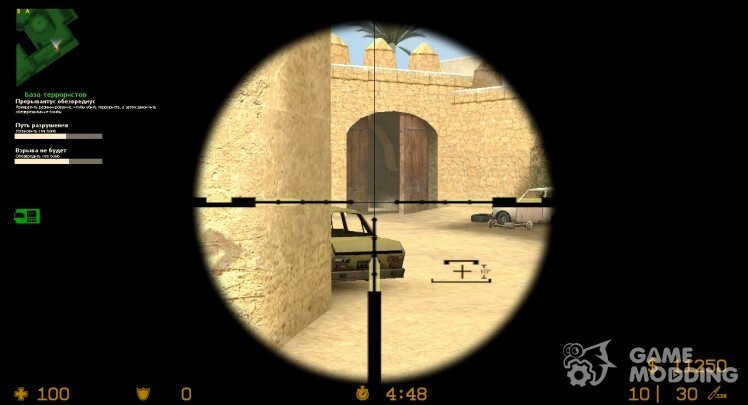 Without crosshairs impossible to aim, so they are in the game are vital. By modifying files downloaded from our site you can change your standard crosshairs on new, better. It\'s good that all the mods on our site are put in the game automatically. You no longer have to suffer with the installation modifications. Now everything is simple - just click a button and the mod already in the game. If you have not tried to put the mods from our website, be sure to try it! You enjoy.